The new law will take effect on January 1, 2018. If you are facing UUW charges in Chicago, Cook County, DuPage County, Kane County, or Lake County, you can contact James Dimeas anytime for a free and confidential consultation. James Dimeas can be reached anytime at 847-807-7405. Rauner Signs Crime Bill, Favored by Emanuel, That Cracks Down on Repeat Offenders, by Monique Garcia and Kim Geiger, The Chicago Tribune, June 23, 2017. Chicago Tribune Article Suggests Chicago May Be Losing Fight Against Gun Violence, by James G. Dimeas, Chicago Criminal Lawyer Blog, May 5, 2017. 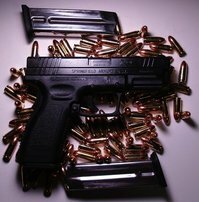 Can I be Guilty of a UUW by Just Having a Gun in My Glove Compartment?, by James G. Dimeas, Chicago Criminal Lawyer Blog, May 2, 2017.